Microsoft released Skype for Business on Tuesday, replacing its older Lync service. And if that sounds a little boring—well, that’s sort of the whole idea. 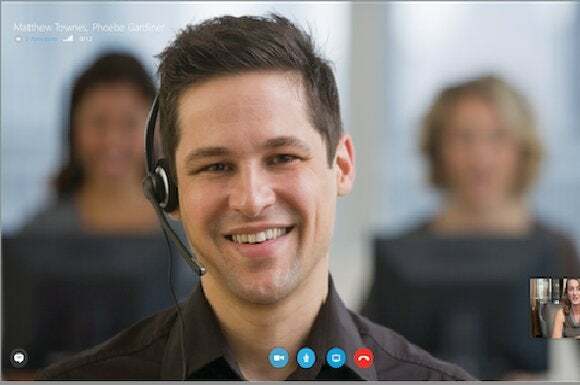 As it signalled last November, Microsoft pulled out its older Lync client and rereleased it as Skype for Business on Tuesday. 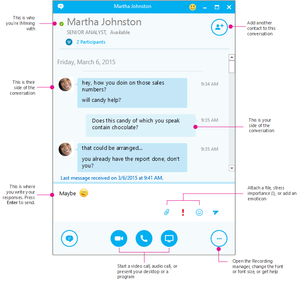 The new software will roll out as part of the April release of Skype for Business. And the online version of the app, known as Skype for Business Online, is making its way to your browser right now, Microsoft said; everyone should see it by the end of May. The Skype for Business conversation view. Unlike other product releases, Microsoft’s goal for the Skype update is to make the transition, well, as dull as possible. The goal is for you to slide from Lync to Skype for Business with minimal hassle. Microsoft has also left the consumer Skype client unchanged. Basically, "there’s no massive underlying technological change that has occurred," said Andrew Snodgrass, a research vice president at analyst firm Directions on Microsoft. Why this matters: Since 2013, customers have wondered why Microsoft kept both Skype and Lync around, because the overlap between the two products was so great. On the other hand, Microsoft essentially had the best of two collaboration products to pull from. With Lync now dead, Skype will carry the torch. You have to wonder now, however, how long Skype will be maintained as a separate product. Tivo, for example, was founded on a novel concept—“pausing” live TV—but DVR functions are now just a feature of modern cable boxes. Will video conversation and chat eventually just be a component of Outlook? The Skype for Business meeting view. Snodgrass said he doesn't think so, at least in the short term. "I can see making calls from Outlook, but the Skype for Business client and Skype Consumer clients won’t go away. In my opinion," Snodgrass said. "That would require Outlook to adopt a UI that supports telephony, IM, video, and desktop/application sharing. It’s possible, but I don’t see it happening anytime soon. It would also require all Skype for Business users to have the Office Suite, which isn’t practical. And certainly isn’t likely for the Skype Consumer users." 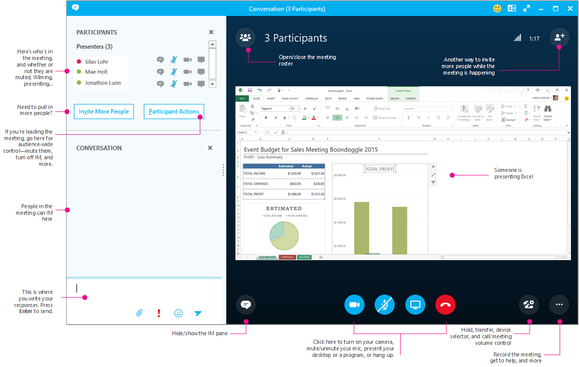 Screenshots released by Microsoft show Skype for Business video calls (top) using the same Skype interface, able to connect to a list of Skype or Lync contacts. Skype for Business will also keep the popover window that shows the details of a call if a user moves to another application. Skype for Business is built right into Microsoft Office, so features like presence, IM, voice and video calls, and online meetings are available to be used by other Office apps. IT administrators rolling out the new services to their enterprises can delay the rollout if they so choose, Microsoft said. Updated at 10:36 AM with comments from Andrew Snodgrass.